Training Capoeira will help you in every area of your life. You will get stronger, more flexible and gain agility. But those are just the physical benefits of training in martial arts as an adult. Capoeira will also help you to gain more confidence, learn about another culture, introduce you to people from all different types of backgrounds, and give you a community of people who will help you to stay motivated to train....and training will improve your health. In this day and age, health is a concern for us adults as we age. In Brazil, it is normal to see people who train Capoeira into their 80s and 90s. It is a life-long practice that keeps you young physically...and young at heart as well. 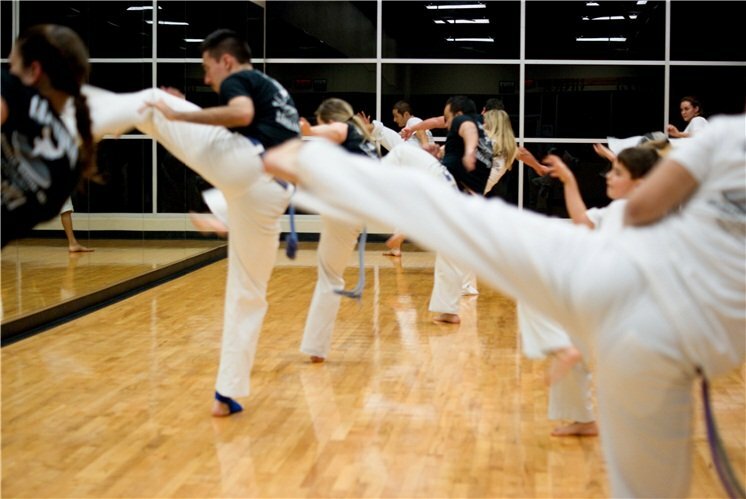 We believe that attending martial arts classes for adults greatly improves the lives of all who train it. Not only will it improve your quality of life, by becoming a part of our Capoeria community you will help to improve the lives of all members of our community that take part in martial arts for adults in San Antonio. Every member of our group brings their energy to the group, which helps us grow stronger together. Without our group, we do not have Capoeira...which means that each and very member is important to our overall growth. You can see this way of thinking in everyday life in Brazil...community is very important. Since martial arts tend to reflect the culture that they come from, the Capoeira Community is an essential part of our joint progress in learning this dynamic art form. We need you to be a part of our group!